I’ve partnered with Wegmans to bring you this blog post. 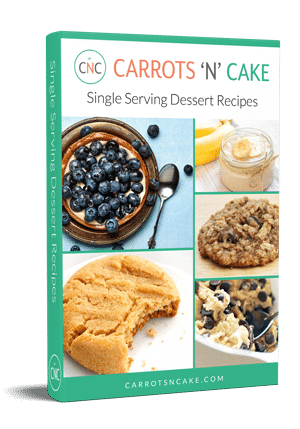 As always, thank you for supporting Carrots ‘N’ Cake! As you guys might remember, I am a long-time fan of Wegmans. They’ve made their way to Massachusetts with 6 locations, and I seriously love to visit. There’s a location about 25 minutes away, so we’ll pop in from time-to-time to do our family’s grocery shopping, especially if we’re in the area. 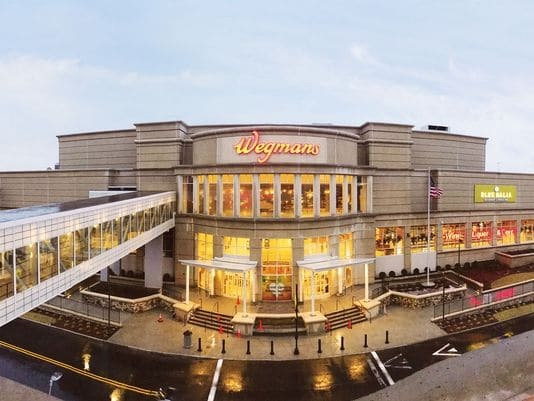 In recent months, I’ve heard more and more about the Natick Wegmans location and just how incredible it is. 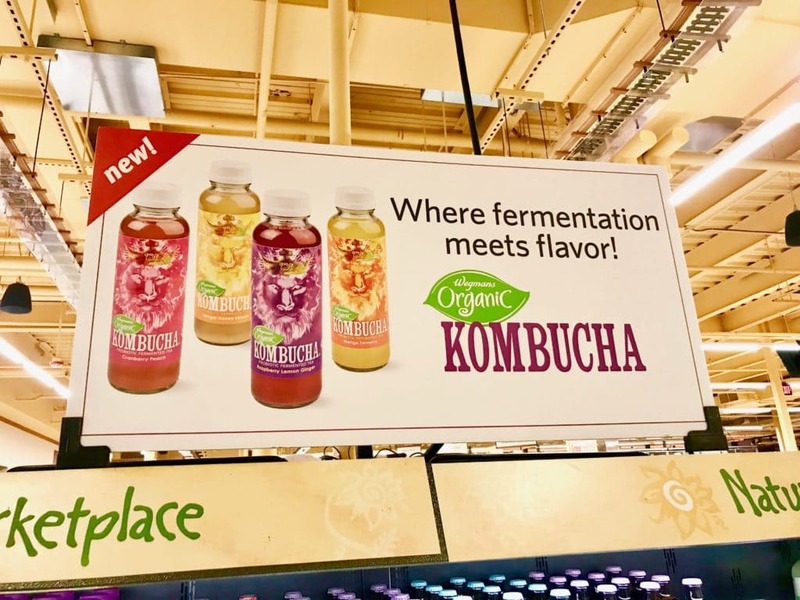 A number of people have told me how much I would love it, so when Wegmans reached out about trying their Organic Kombucha, I knew it was the perfect excuse to see what the Natick location was all about. Verdict: The Natick store was everything that I expected and more: Amazing, massive, and truly one-stop shopping! Check out everything it has to offer! 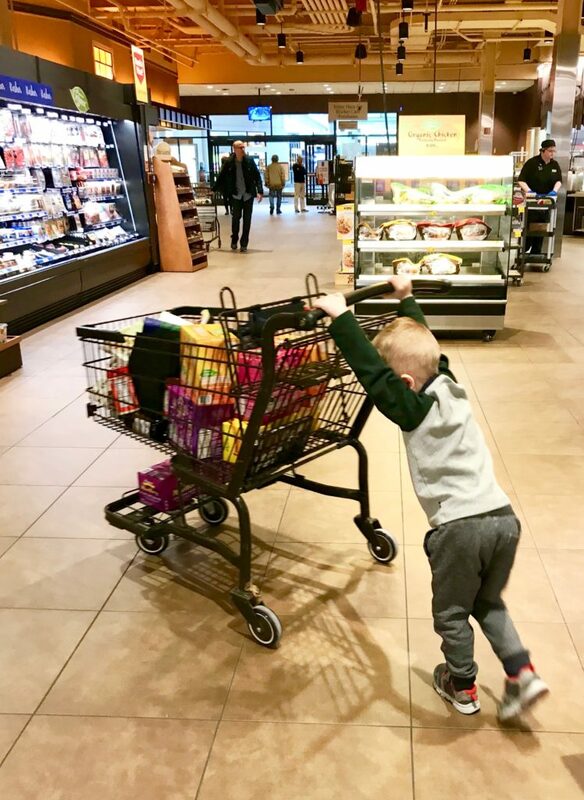 Mal and Quinn wanted to come along for my Wegmans adventure, so we drove out mid-morning to do our grocery shopping for the week. When we arrived, Quinn was all business with the cart! Wegmans Organic Kombucha was, of course, on the top of our shopping list. 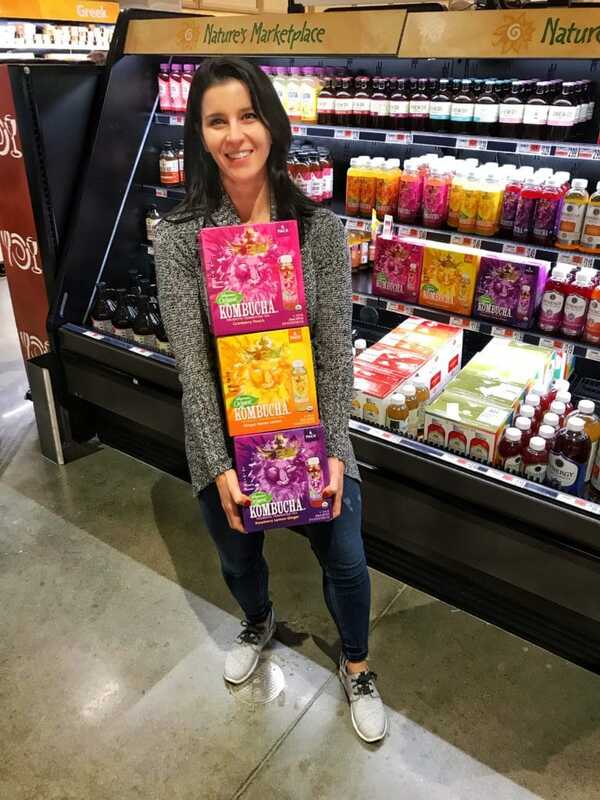 I already love kombucha – obviously, for the taste and bubbles, but also for its gut health properties – so I was really excited to try the Wegmans brand. 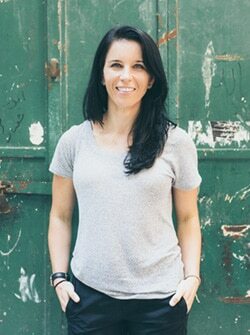 Gut health is such a hot topic nowadays and definitely one that I pay attention to – given my past struggles with ulcerative colitis. So, what is gut health exactly? 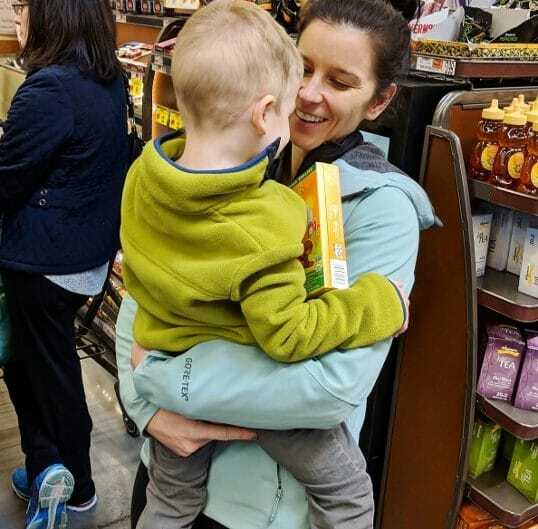 According to the winter issue of Wegmans Menu magazine, gut health is simply supporting the health of your digestive tract, its digestion, and the quality and diversity of its “good bugs,” which seem to support a happy gut. And, of course, the health of your gut can very significantly impact other aspects over your overall health and wellness, including protecting the immune system, preventing chronic inflammation, and even boosting your mood. 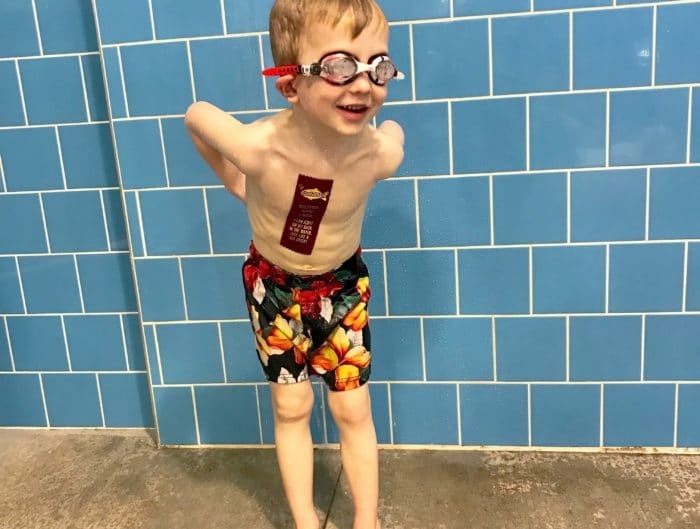 For more information on gut health, visit www.wegmans.com/feelyourbest. 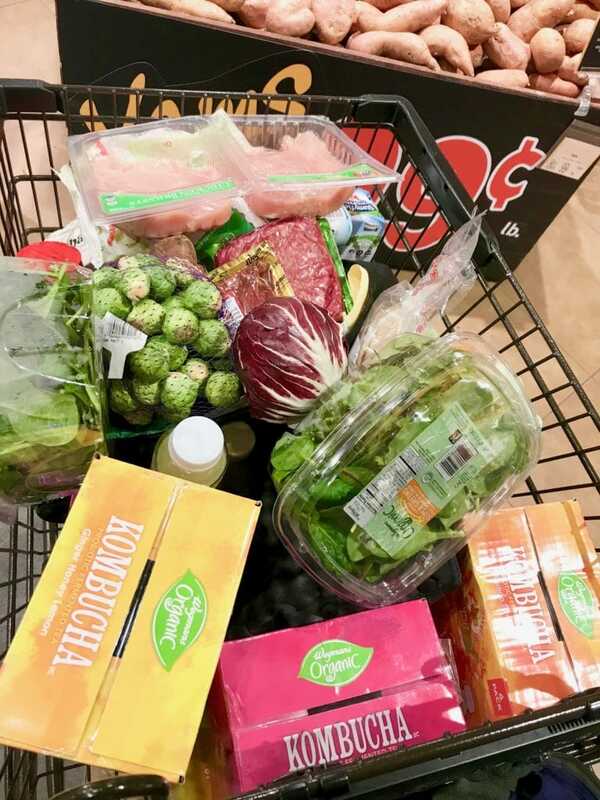 In addition to the Organic Kombucha, we also picked up a case of Wegmans Food You Feel Good About Lemon Sparkling Water to make kombucha spritzers at home. Ooooh, yes, and they’re the perfect afternoon pick-me-up as well as a healthier alternative to my usual glass of wine in the evening. (You may have seen me rocking them on Instagram Stories recently.) Wegmans recommends mixing 60% Wegmans Raspberry Lemon Ginger Kombucha with 40% Lemon Sparkling Water, and it’s so delicious. 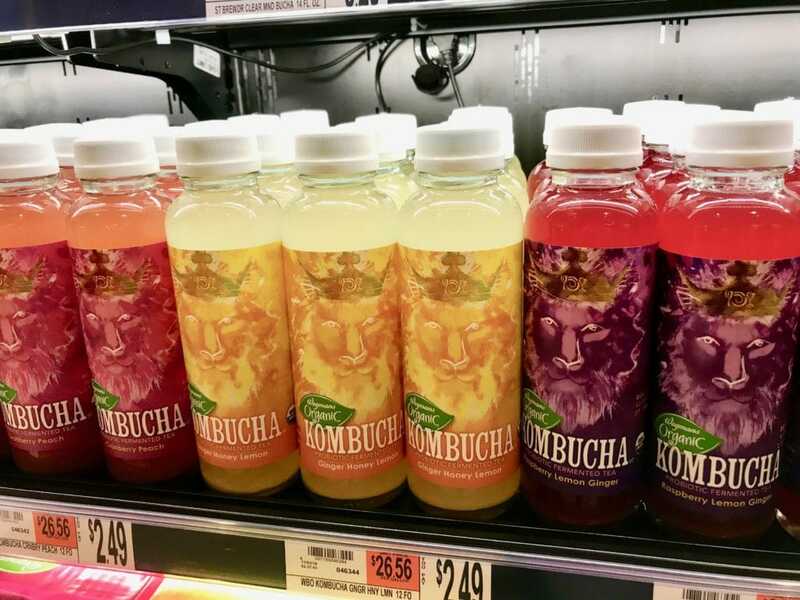 Be sure to give it a try – and be sure to keep a look out for Organic Kombucha at your local Wegmans! 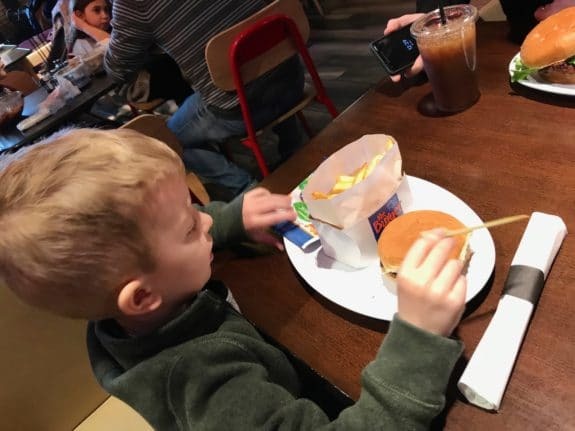 Quinn said he wanted a burger and fries, so that’s exactly what we ordered him – and, guys, he ATE it. 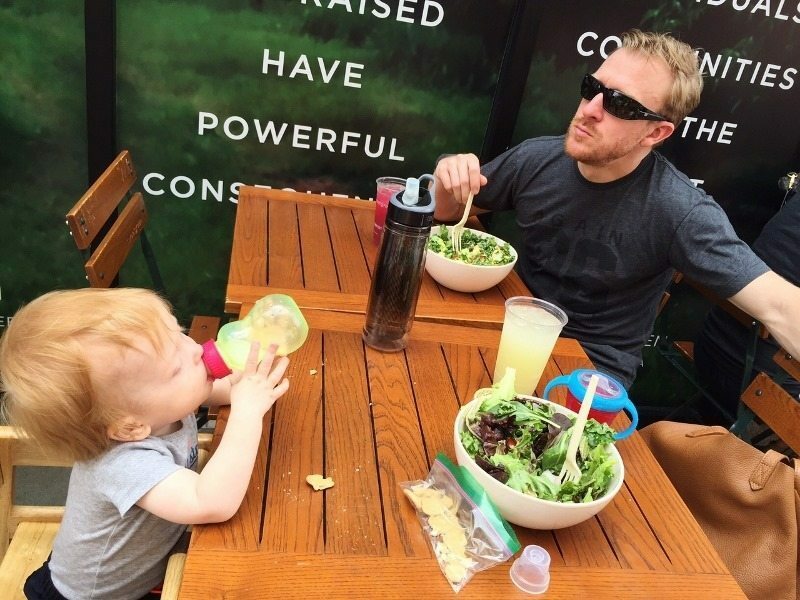 It was incredible – our child ate meat!! Wegmans is quite the magical place! P.S. 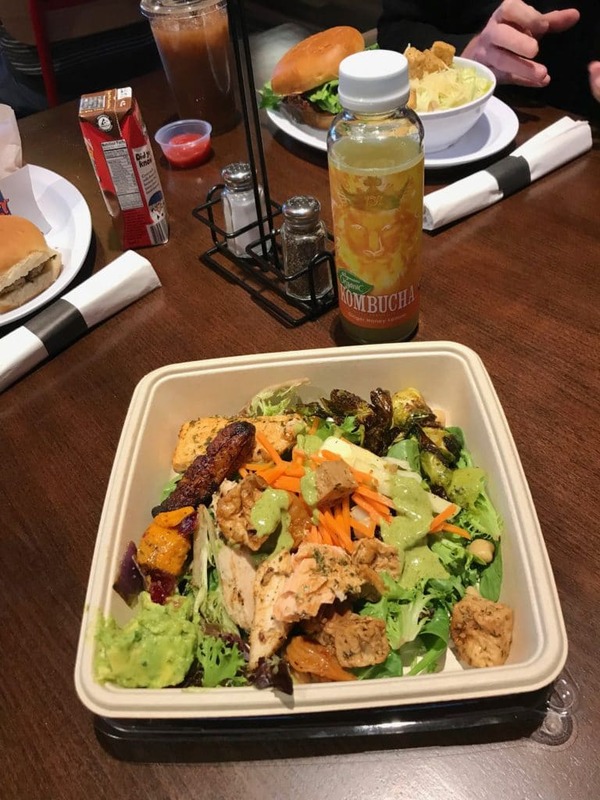 As I was writing this blog post, I actually got such a craving for kombucha, I grabbed a bottle of the Wegmans Mango Turmeric. Delish! How much sugar is in the Wegman’s brand kombucha? Is it added sugar or naturally occurring from the fruit juice? So cool! I lived in Natick in the late ‘90s. I just have to say the fact that your child seems to also subsist mostly on air is beyond refreshing. I see all these other bloggers with kids who eat anything and everything and I’m over here with my 3 year old going but howwwwwwww??? It’s nice to know there are others. That looks really good, Ill have to try it! Just tried the lemon ginger flavor and it was awful. It tasted like perfume.